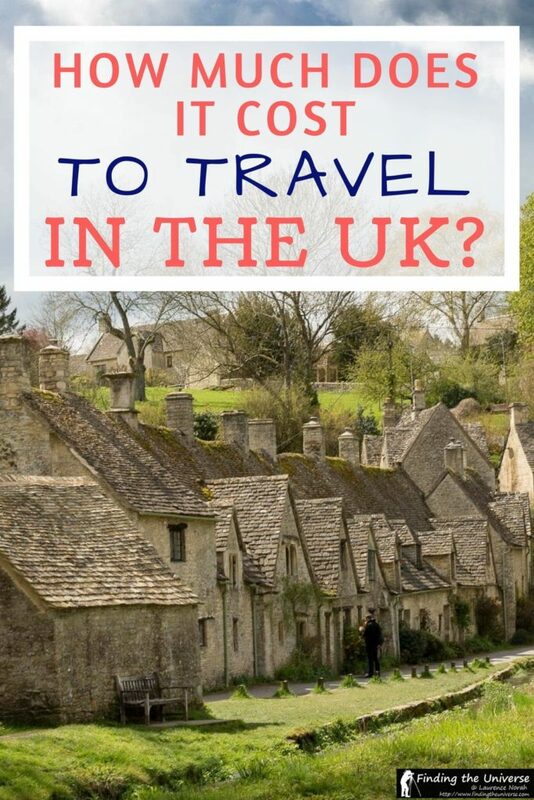 Home » Destinations » Europe » UK » How Much Does it Cost to Travel in the UK? How Much Does it Cost to Travel in the UK? One of the most common questions we’re asked from people who read our UK guides, and in particular our detailed one week and two week UK itinerary posts is: how much does it cost to travel in the UK? Of course, the answer is – it depends! There are a lot of factors to consider, from your travel style (budget to luxury) through to who you are travelling with (solo, family, group), and the kind of travel you want to do (self-drive, group tour, etc). Then of course there are the attractions you are interested in visiting, the time of year you visit – there are just so many variables to take into account. Which makes answering the question quite tricky! But we’re going to tackle it anyway. In this post I’m going to go through all the major costs you need to consider when planning a trip to the UK, and provide budget ranges for each of them. This should give you some good ideas of what a trip like this might cost. We’ll also provide some money saving tips for each area. In Summary: How Much Will a UK Trip Cost you? We’re going to look at each of these individually to give you some cost ideas. At the end of the post we’ll then put these together to give ideas of a total trip cost for the UK for a few different travel styles. There are a number of ways to travel in the UK. To start with, there is an excellent public transport network in the UK which includes long distance bus services (also called coaches in the UK), a good passenger rail network and multiple low cost airlines. Our preferred way of travel in the UK (and abroad), is to self-drive where possible. We find it gives us the greatest flexibility, letting us stop when we want to, and not have to be strict about following a timetable. Of course, depending on the type of trip you want to do, this might not be the best option – if you’re only visiting cities for example, we recommend using public transport to get between them. Book by the week. Most car hire companies offer better rates if you book for a week rather than a few days. Of course, there’s no point booking for a week if you only need the car for a day or two, but you might find that seven days is cheaper than six for example. We have also found that when we book a car for two or three weeks, many hire car companies have given us a free upgrade to say thanks for our custom. Pick up your hire car on leaving the city. In the UK, there is really no need to have a hire car in a city. UK cities are for the most part easy to get around either on foot, or have excellent public transport networks. Your hire car will likely spend its time costing money in an expensive parking lot. So just book your rental for when you leave the city. Don’t pick it up at the airport. If you can avoid picking up your hire car at the airport, you will usually save money. Most car hire companies charge higher rates for cars picked up at the airport – it’s a combination of a trapped market and a convenience factor. Compare prices between the airport and the city, and if you can get to the city easily from the airport, and the price is better, do that. Avoid one-way trips where possible. Most car hire companies will charge you extra if you want to drop the car off in a different place to where you picked it up. We have actually done this many times – the key is to find a car rental company that charges minimal one-way fees. In our experience, Enterprise is pretty good for this. Don’t forget the fuel costs. Fuel in the UK is relatively expensive compared to somewhere like the USA. Thankfully, the majority of cars are quite fuel efficient and distances aren’t that great. However, fuel prices vary wildly. Generally, the cheapest fuel can be found at supermarkets, such as Asda, Tesco and Sainsbury’s. The most expensive fuel is usually along the motorways, at the service stations. Avoid additional fees: The way that hire companies bump up their revenues is by charging you for a lot of addons when you come to pick up your car. These can include everything from a GPS unit through to extra insurance cover. Many of these are not truly necessary, and some travellers might find that their credit card already offers things like Collision Damage Waiver insurance. So definitely check in advance what addons you need, so you don’t fall prey to high pressure sales tactics at the rental desk. Use a comparison service: For car hire, whilst we often use Enterprise, we will also check with other providers. We find the fastest way to do this is with a comparison search site that lets us compare prices across multiple providers at the same time. Two good options that cover car hire in the UK are Priceline and AutoEurope. Just make sure when comparing prices that additional fees like one-way drop offs are covered. Consider your age: Car hire companies around the world give better rates to what they consider to be more experienced drivers. Younger drivers, particularly those 21 and under, can pay hefty surcharges for car rental. Usually, drivers over 30 get the best rates. If you are travelling in a group of different ages, consider renting the car in the name of the older driver. Just be aware that you might need to pay more to add additional drivers, so be sure that the named driver is happy to do all the driving if necessary. Public transport in the UK is difficult to put a price on as there are huge variables depending on where you are going, how far in advance you book, and how you travel (bus, train, plane) – as well as if you choose to travel in standard class or a more premium class. As an example though, a one way single ticket from London to Edinburgh by train (~4hr 30 min) would cost you around £150. If you book the same trip in advance, you could go on the same journey for as little as £25 one-way. A similar journey by coach would take between 10 and 15 hours, and cost between £16 and £80. You could also fly, which would take around an hour of actual flight time (although you would need to factor in the time of getting to and from the airport and check-in). Flights with a budget airline from London to Edinburgh for example start from as little as £13 (with no luggage! ), and go up to around £200. Book in advance. For planes, buses and coaches, the best prices are available if you book well in advance, and if you can be a little bit flexible with your timings. Avoid travelling at peak times (usually 0630 – 0930 & 1530 – 1830). Use the right booking site. For train tickets, we recommend The Trainline, which we have found to be the most user friendly option. Opt to pick up your tickets from the station to avoid postal charges. Another popular option for buying train tickets from abroad is Rail Europe, whilst they do charge a booking fee, they also let you book tickets for destinations all across Europe, and so are a handy one stop shop for all your ticket needs. For long distance buses, there are a number of operators to choose from. The two we would recommend are National Express and Megabus, both of which offer a wide range of routes across the country. For flights, we suggest a good comparison engine that includes the budget airlines – we recommend Kiwi.com. Go carry on only. If you choose to fly, packing carry-on only can save you a good amount in baggage fees. Just be aware that UK airlines have different baggage size standards to other airlines around the world, so always check with the airline first. Accommodation is one of the major costs for any travel, and a UK trip is no different. 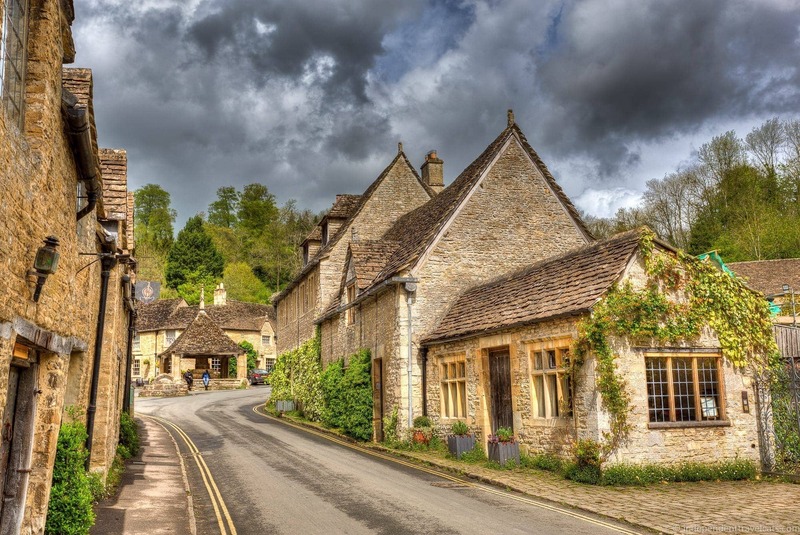 Of course, the question “how much does accommodation cost in the UK?” is not straightforward, and there are multiple factors to consider – everything from time of year through to the level of comfort and service you need will affect the price. There are lots of options for accommodation in the UK, so whatever your budget, we are confident you will be able to find something to suit your travel needs. Our costs are based on two people sharing a private room, but there are other options of course, including dormitory accommodation in hostels, if you are looking to save even more. Budget: £40 – £100 for a budget room for two people, usually this would be an en-suite room. Dorm rooms are also available, think around £25 per bed. Travel off-peak. 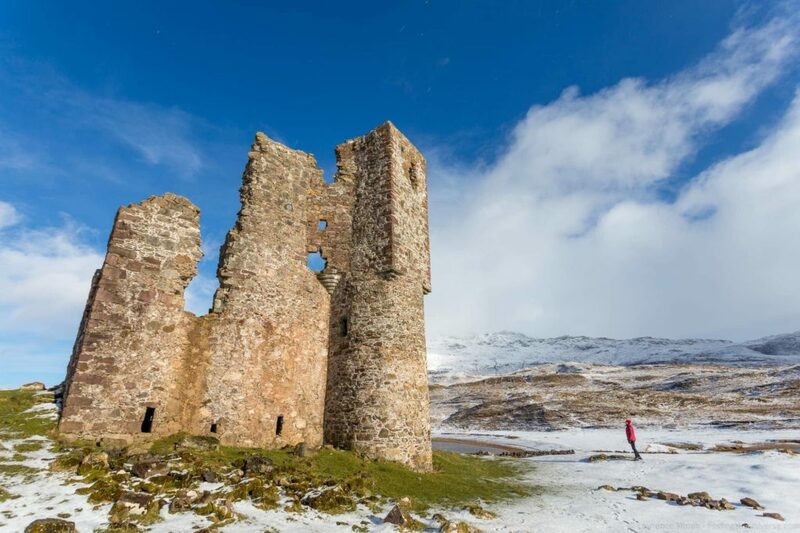 If you can travel in the quieter times of year, such as January and February, particularly in less visited parts of the UK, you can score some remarkable deals. 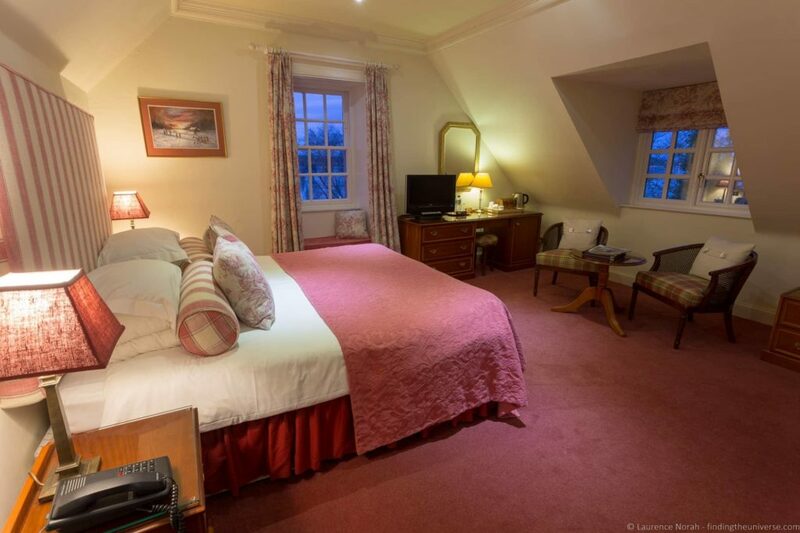 For example, we stayed in this luxury hotel near Inverness for £70 per night including breakfast in February. The same room in June is over £300! Check the hotel website for deals. Whilst we love booking engines for their convenience, sometimes we find that a particular property has a special deal running that’s only available if you check their website. These might be things like three nights for the price of two, or free breakfast if you book direct. Book online. We use booking.com extensively for our travel accommodation. After making five bookings, we qualified for their extra “Genius” discount, which often scores us an extra 10% off. We also like that they list everything from hostels to apartments to hotels of all categories, making it an excellent one-stop shop for our accommodation needs. Use Alternative Accommodation Providers. There has been an explosion in options in the accommodation market over the last decade or so. If you’re on a tight budget, definitely consider websites like AirBnB and Couchsurfing. There are lot of options out there to help you find great value accommodation, so take advantage of them. Take a look at our guide to AirBnB Alternatives for more inspiration. The UK used to have a pretty poor reputation when it came to food, but thankfully over the last ten – twenty years this has improved a great deal, and you can now get really fantastic meals as you travel. That said, dining in the UK is not particularly cheap, although there are some ways to reduce the costs. One thing to note, for US readers in particular, tax is always included in menu prices in the UK, so what you see is what you pay. Service is not included, but tips are appreciated. Drink less. Drinking with a meal can really push your budget up. Even soft drinks can be quite expensive in the UK, so if you can stick with tap water with your meal, you can save a fair bit of money. Find deals. Whilst not as common as say France, you can still find good deals in the UK for dining out. Many restaurants will offer early-bird dining specials for example, for dining at times earlier than usual, such as 5pm – 6.30pm. Others may have special menu deals, where you can get a two or three course meal at a discount at lunchtime. Fast food. Don’t forget the fast food chains if you’re looking for cheap and easy food on the go. As well as reducing your time spent eating if you’re having a full day of exploring, these can be very cheap. To really save money, skip the extras, and find the really cheap menu items. For example, you can normally buy a single hamburger at McDonald’s for under £1. Two of those and a medium fries will keep you going for a while. Small cafes. If fast food doesn’t do it for you, consider stopping off at a small cafe. Often attractions have these, as do department stores and other high-street locations. Normally they have a small selection of well priced menu items, such as a soup and a sandwich, or a baked potato with a filling. Usually these meals will come in at under £5 per person. Supermarket meals. If you’re ok with a cold meal, a reliable cheap option is to get a meal from a supermarket such as Marks and Spencer. These places usually have an extensive range of sandwiches and other snacks, often very well priced. You’ll be able to get a sandwich, snack and a drink for under £5 in most cases. 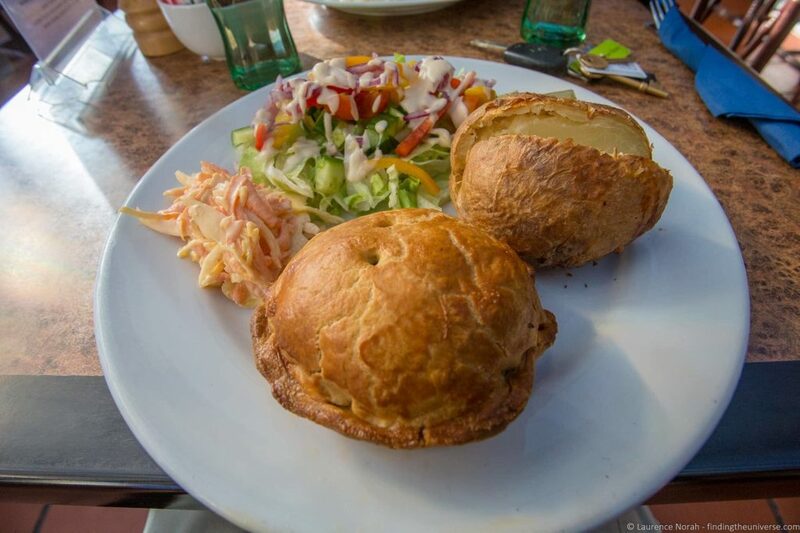 Plus you can then find somewhere pretty to eat it and dine al fresco! Other options for cheap eating include chains like Eat and Pret a Manger, which also offer soups and hot items. Cook for yourself. To really save money on your food in the UK, you should opt to cook for yourself if you can. Obviously this will need a bit of forward planning, as you’ll need to book accommodation that includes cooking facilities, such as an AirBnB, or a hostel with a kitchen. Cooking for yourself can really save you money though. Eat the included breakfast. If you’re staying at a hotel or bed and breakfast that includes a breakfast (or other meal), make sure you take advantage of it, as that saves you the cost of a meal. Sight-seeing costs in the UK will really vary depending on what you are interested in seeing. There are lots of free attractions, including many museums and outdoor sights, that won’t cost you anything at all. There are also other trips and activities, such as day trips to specific sights you might want to see (for example Stonehenge from London) that you will want to book a tour for. If you are thinking about taking a tour, we can recommend Rabbie’s, who offer small group tours in the UK & Ireland. 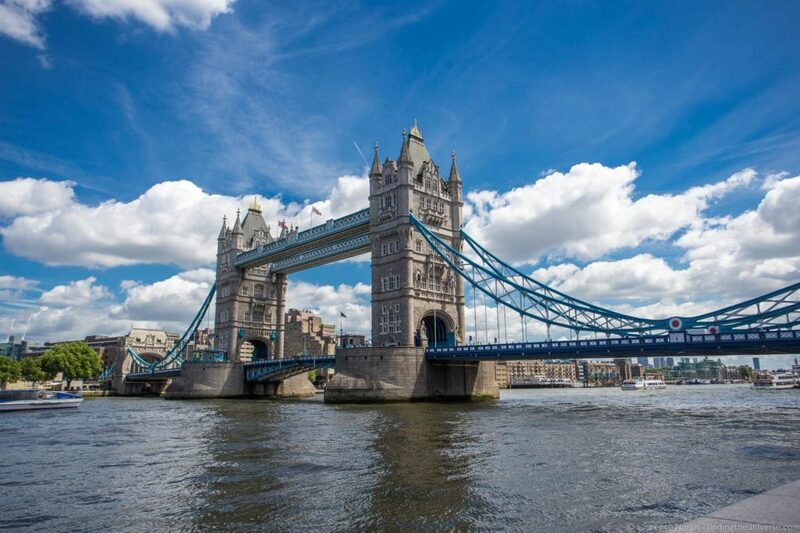 We also recommend Viator who offer a huge range of tours in the UK. Costs will vary tremendously depending on what you are interested in. Museums and other attractions like stately homes range from free to around £25 per person at the upper end of the scale, although £6 – £12 per person is a more common cost. Note that many of the major museums in the UK are free, like the Natural History Museum in London, or the National Museum of Scotland, for example. If you decide to take a tour, the price of these will vary depending on a number of factors. Private tours will cost more than group tours for example, and multi-day tours will be more expensive than day trips. As a guide, a day trip from London, such as a visit to Stonehenge will cost you between £50 and £110, depending on duration and inclusions. This price is fairly reflective of day trip prices from cities around the UK – see our guides to day trips from Edinburgh, day trips from Glasgow and day trips from Inverness for more inspiration. Multi-day group tours will cost more, usually in the region of £75 – £150 for each day of the trip. When comparing tours like this, always check what is included and what isn’t – for example, some tours will include accommodation and attraction entry, and others won’t. Private multi-day group tours are the most expensive option of all, and you should look to budget in the region of £500 – £1000 per day for this sort of tour, which will usually include the cost of your driver and vehicle, with accommodation costs added on top. Get a City-based Attractions Pass. If you’re planning on visiting a lot of attractions in the same city, you will probably find that an attractions pass will save you money. For London, we recommend the London Pass (see our review here). For Edinburgh, there’s a good pass that covers the royal attractions (review here). Get a society membership. For certain types of attraction in the UK, such as historical homes and castles, you can save money with a membership to the organisation that manages the properties. In the UK, there are a number of these, but the key organisations are the National Trust and English Heritage. If you’re a UK resident, annual memberships to these unlock free access to hundreds of properties around the country. If you’re not from the UK, you might find that they have reciprocal agreements with foreign similar organisations. Alternatively, you can also buy visitor passes for these organisations. This pass is for English Heritage for example, and this is for the National Trust in England. Visit on free Days. Sometimes museums and attractions in the UK will have free days where you can visit for free. Check the attraction’s website or social media accounts for details of when these might be. Use qualifying concessions. Many attractions offer discounts to different demographics – for example based on your age or eligible military service. It’s always worth checking if you qualify for a discounted price. If so, make sure you carry proof of your eligibility, for example, if it’s an age-based discount, carry official government issued ID like a driving license or passport so you can prove your age. So, for a trip like our suggested two week UK itinerary, you would likely be looking at the following total approximate costs for two people for a two week UK trip. Of course, you can spend a little less or a lot more, depending on your travel style, but these ball park figures should give you an idea of costs. Also, don’t forget to include any visa costs, additional sight-seeing, nice meals out, souvenirs, and of course, the cost of getting to and from the UK. Hopefully in this post we’ve answered the question of how much does it cost to travel in the UK. To further help with planning your UK trip beyond the budgeting side, we have a lot more content that we think you will find useful. For itinerary ideas covering the whole UK, check out our 1 week and 2 week UK itineraries. 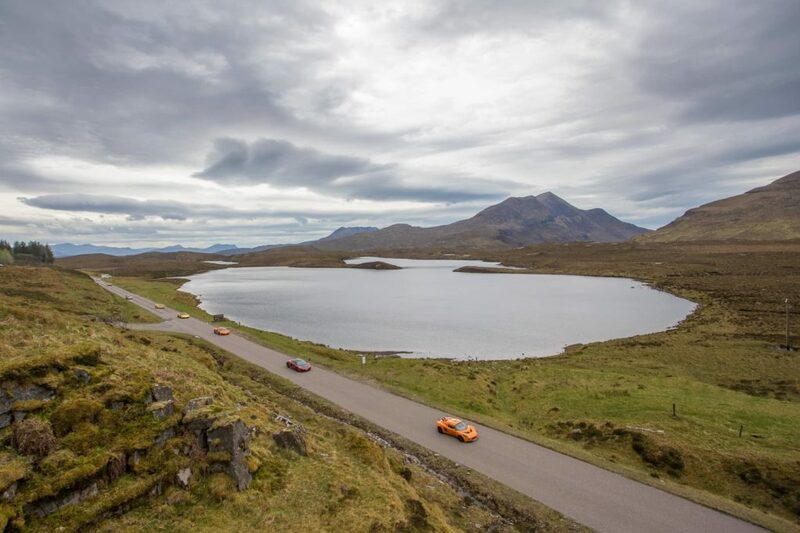 These are self-drive itineraries, so do check out our guide to driving in the UK for tips. If you want a physical (or digital!) book to accompany your travels, then Amazon do a good line in UK Travel Guides, and there is naturally a Lonely Planet and a Rough Guide to the UK available. And that’s it for our guide to how much it costs to travel in the UK! We hope you found it useful – as always you’re welcome to share your questions and feedback in the comments below. Hi, really great sharing with much details for travelling in UK. Wonder if you have any suggestions for travel to Manchester and thereabouts? I haven’t visited Manchester for a while, despite living there for a period many years ago. So I don’t currently have any up to date recommendations, however, we hope to visit Manchester soon and fix that! I love your site and have found great ideas for my family’s upcoming trip. One question: We are doing a home exchange with a family who has offered to let us use their car–which is great. But we have looked (quite a bit!) online, and it seems to be very difficult to get insurance on anything other than a rental car. Do you have any suggestions? Thanks very much 🙂 So this is an interesting question. Normally in the UK the car insurance policy is associated with a specific driver (normally the owner and then any other drivers) rather than some countries where you insure the car and then anyone can drive it. My initial response is that I’m not sure exactly how you would go about doing this. Based on my experiences driving friends cars in the UK, they have had to ring their insurance to add me as a named driver. However, I don’t know exactly how this works with non-UK licenses, nor do I know how it might affect their insurance should something happen. I did a search, and whilst this service does exist, it doesn’t seem to cover US license holders, only holders from specific countries like those in the EU, Switzerland, Australia and New Zealand. I have never used them and I can’t comment on what they cover or if they are any good, but it might be worth a try! Wow, just found your itinerary and I’m going to follow it, with a couple minor tweaks to the schedule when I go June 1st with my husband and son. Thanks for all the great advice and mapping it out. Our pleasure Mona – have a great trip, and let us know how it goes! Thanks for your input! I’ve updated the budget hire car price. I think £100 – £150 is reasonable, I’ve taken a look on various sites and for various dates, and it’s a definite struggle to get a week of car hire with unlimited mileage for much less than that. Awfully glad to have found your website. Very informative. 6 of us retirees (age 57-80) are planning to self-drive UK for 2 weeks, visiting Cornwall and Wales. 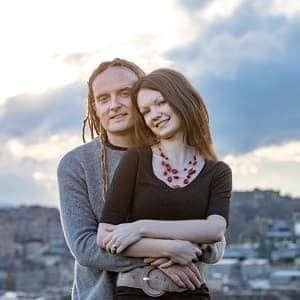 Would like advice on accommodation (homestay/airbnb? ), etc. Thank you. Our pleasure. With a group, an AirBnB or similar would be a great idea, as you can usually get more for your money. Our only advice is to only book places with good reviews. The best option is simply to search a site like AirBnb (we also have a list of Airbnb alternatives here,) for the dates and number of people for the destinations you want to visit, and work from there. Thank you for your suggestions. We are also looking at mpv for hire for six. Is it cheaper to get the vehicle at the airport? Thank you. My pleasure. If you mean in comparison to booking in advance, I would say in general it will be more expensive booking car hire at the airport. If you mean will it be cheaper picking up from the airport or from another location, usually it is cheaper to pick up a car from an location different to the airport, as airport car hire is nearly always more expensive than city locations, due to the convenience. Great read! I appreciate the in depth breakdown. Just got to London and am going to be following your 2 week itinerary religiously! My pleasure – have a wonderful trip!